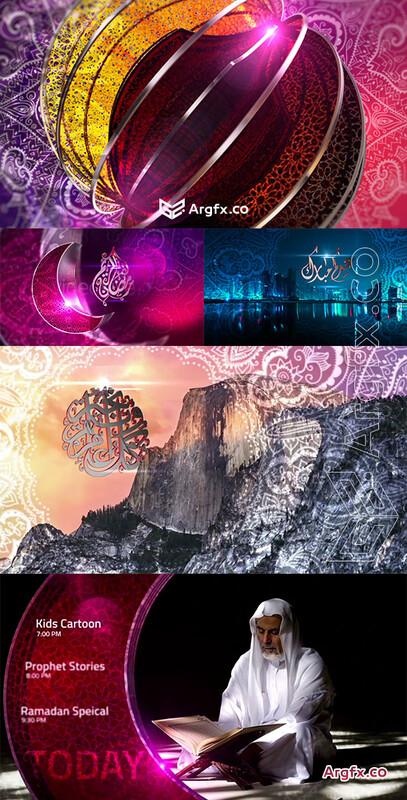 Beautiful Package for Ramadan, Eid & Yearly Blessing. Highly Customizable & Very easy to use, with Video tutorials & overview. Available in English and Arabic versions.Rotating circles in main animation represents phase of moon over a month.